ClickFunnels vs GetResponse Comparison: Which One Is Right For You? Designed For Marketers and product/course developers in need of a complete sales and marketing funnel system. Email marketers, SMBs and enterprise customers in need of a reliable, scalable email marketing platform. Contacts Unlimited contacts on all plans. Up to 1,000 subscribers on $15 per month Email plan. Plans available for 5,000, 10,000, 25,000, 50,000 and 100,000+ subscribers. Users Not provided on ClickFunnels website One user on Email plan, with support for 3-10 users for Pro, Max and Enterprise customers. Email Courses Unlimited autoresponder series in $297/month plan. Unlimited autoresponder series in all plans. Automation Rules Unlimited automation funnels in $297/month plan. Basic automation included in Email plan, with full marketing automation features for Pro, Max and Enterprise customers. Email Split Testing Not provided on ClickFunnels website A/B email split testing is possible. Lead Scoring Available in Etison Suite. Lead scoring based on user behavior and activity. 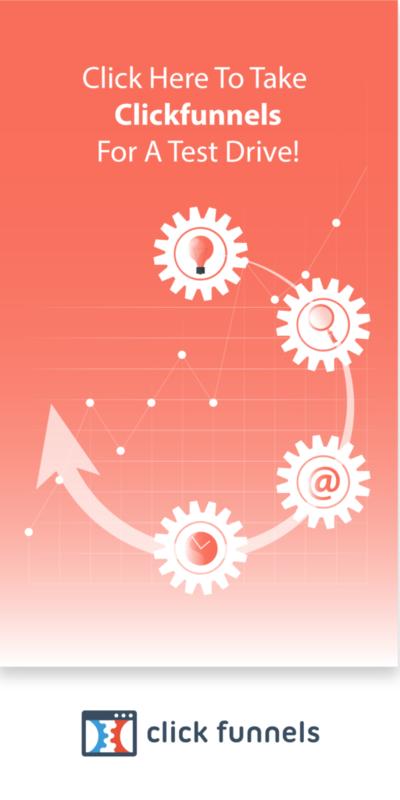 SMS Marketing Automation Automated SMS is available via the ClickFunnels Twilio integration. GetResponse does not natively support direct mail automation, however Zapier integrations are available for Call Loop and other SMS marketing tools. Direct Mail Automation ClickFunnels does not support direct mail automation. GetResponse does not natively support direct mail automation, however a Zapier integration is available. UI and Usability Designed for marketers and "non-techy" users, with a simple and logical user interface. Designed for non-technical users and power users alike, with a clean and intuitive UI. Automation Workflow Builder Actionetics allows you to set up automation workflows based on purchasing behavior and other user filters. Drag-and-drop automation workflow builder with visited URL and purchase tracking. Email Course Builder Emails use simple formatting and can be organized into a sequence from a clean, straightforward UI. User-friendly Email Creator with time and action-based autoresponders. Form Builder No embeddable forms, but landing page editor can be used to create simple opt-in pages. All-in-one web form builder can create newsletter sign-up forms, order forms, feedback forms and more. Landing Page Builder Visual landing page editor with WYSIWYG interface and support for custom CSS. Drag-and-drop WYSIWYG landing page editor makes creating responsive landing pages easy. Landing Page Templates Six pre-built "funnel-in-a-box" templates for lead capture and other stages of a sales funnel. More than 100 professional opt-in page, sales page, download page and video landing page templates included. WordPress Plugin User-friendly WordPress plugin lets you import ClickFunnels funnel pages to your WordPress website and even use a ClickFunnels page as your homepage. WordPress integration plugin lets you easily add subscription forms to your WordPress website. Integrations More than 20 integrations with auto-responders, shopping cart software and more. More than 133 integrations with CRM tools, CMSes, e-commerce platforms, landing page software and more. Pricing Monthly fee, starting from $97 per month for up to 20,000 contacts. Free 14 day trial available. Monthly fee, starting from $15 per month for up to 1,000 contacts. 30 day free trial available. Support Personalized support via email and chat, as well as the detailed ClickFunnels support resources. Personalized support via phone, email and chat, as well as the GetResponse learning center. Phone support available from 9AM to 5PM EST, Monday to Friday.